The Raging Bulls of Bitcoin Fight On! 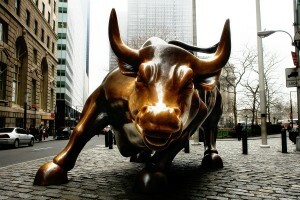 Raging Bulls of Bitcoin still prepared to fight in the arena of global currencies. This past week, we have read the obituaries of bitcoin, seen the protests outside MtGox, and lamented for those who lost their shirts with it’s failure. Despite all this those who believe in the bitcoin protocol have remained steadfast in faith, ready to defend bitcoin to the death. Marc Andreessen, Fed Wilson and Meyer “Micky” Malka all have huge stakes in bitcoin and all 3 are prepared to risk it all in the eyes of critics for this new concept in currency. The difference is, they understand the collapse of MtGox was, in essence, a non-event, jumped upon by the media to discredit bitcoin. They understand the death of MtGox was deserved, and was just one of the growing pains of this revolutionary technology. Fred Wilson went a step further than just defending bitcoin verbally. Taking the phrase “put your money where your mouth is” quite literally, Wilson added to his bitcoin stash. Of these three raging bulls, Micky Malka, shares a bit of an underdog story. The 39 year old Venezuelan grew up in a plagued economy, distorted by inflation for much of his childhood. With job losses skyrocketing following the failure of Operation Zamora , lead by Hugo Chavez in 1993, Malka, at the tender age of 19 established his first bond brokerage Heptagon Grupo Financiero, in Caracas. This financial crisis hung over the people of Venezuela all throughout Hugo Chavez’s Presidency provided the driving force for Malka to gain a degree in economics and later start a string of 5 financial services companies, including Patagon, which was sold to Santander in 2000 for $750,000,000. Fast forward to 2011 and Malka, understanding the bitcoin network, started using bitcoins to bypass government restrictions on the transfer of money. Malka first became an investor in bitcoins and then in 2012 founded Ribbit Capital, a venture capital firm, to invest in bitcoin businesses. Ribbit has since invested in Coinbase Inc, BTCJam and bitcoins directly. Of the total number of bitcoins mined to date, Ribbit and Social+ Capital Partnership own over 5%, making these 2 companies potential future giants in the market. “There’s more money to be made owning Bitcoins than Bitcoin companies.” – Chamath Palihapitiya, founder of Social+ Capital Partnership . Those investing so much in bitcoin would not do so if they did not have a solid foundation for their beliefs in its success. Let’s make it clear, bitcoin is still the underdog in this story. Despite the backing of big names like Malka, the general public still lack faith. But this lack of faith is largely based on misunderstading, ignorance and fear of the unknown. To paraphrase Andreas Antonopoulos, bitcoin is not just the money of the internet, it is the internet of money. Once someone understands what that one sentence means, they understand why the price of bitcoin on any given day is not what is important in the long run. 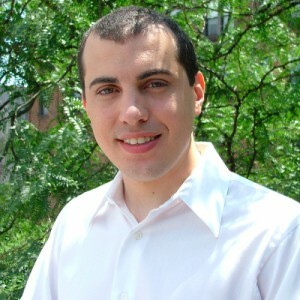 In an online discussion with Stefan Molyneux, Antonopoulos explains this, for all to understand. Bitcoin will succeed because of its use as a perfect form of money for the internet, it is safe, instant, cheap, and can transfer money across all borders without any external controls forced upon it. Not only that, but the bitcoin network can be used for countless other applications, of which bitcoin the currency is only one. The demand for financial liberty, world integration in terms of economic activity and financial services is growing by the day, and the bitcoin protocol solves all of these problems. The beauty of the bitcoin network is that it takes out the requirement for trust in an individual or bank, or government. Trust is irrelevant in a decentralised currency like bitcoin, as it is embedded in the cryptography of the blockchain. There are hundreds of currencies in the world and compared to the dollar today, bitcoin is inferior as a currency. That is not disputed, today. Not enough people are using bitcoin. But, for countries like Argentina, where the national currency has been massively inflated for years, where financial crisis is the norm and where the future generations have little hope of getting out of government induced poverty, bitcoin provides an escape route. Using bitcoin is a choice, made by those who want to avoid the worthless currencies of their governments in favour of something that can bypass the consequences of its flaws. The big players in the bitcoin industry have come together forming an alliance. Companies dealing in bitcoin will be audited, and measures will be put in place to prove bitcoin reserves are present and put the minds of their investors at ease going forward. One of the upshots of the collapse of MtGox is the renewed vigor by which exchanges want to prove their trustworthiness to investors. While the risk are still high for investors, they are seen as risk worth taking for many in the investment industry. Ribbit capital has shown a return on investment of 400% since opening and Chamath Palihapitiya’s fund has delivered 40-60% annually since 2011. Figures like these leave little to argue with. With the fall of MtGox, the community and the price of bitcoin rebounded. Bitcoin will keep striving for greater heights and this current underdog will triumph. Capital Area Food Bank: Can Bitcoin Donations Help Fight Hunger? End the Euro. Bitcoin to €100k. This will happen as more and more ePos devices support BTC. Merchants are getting it slowly but surely. BTC is the deflationary antidote to the poison of Fiat paper. After a few years people will look back on inflationary times in amazement at how such a rotten system was allowed to take over the world. A money with increasing purchasing power will be the norm. That money is Bitcoin.